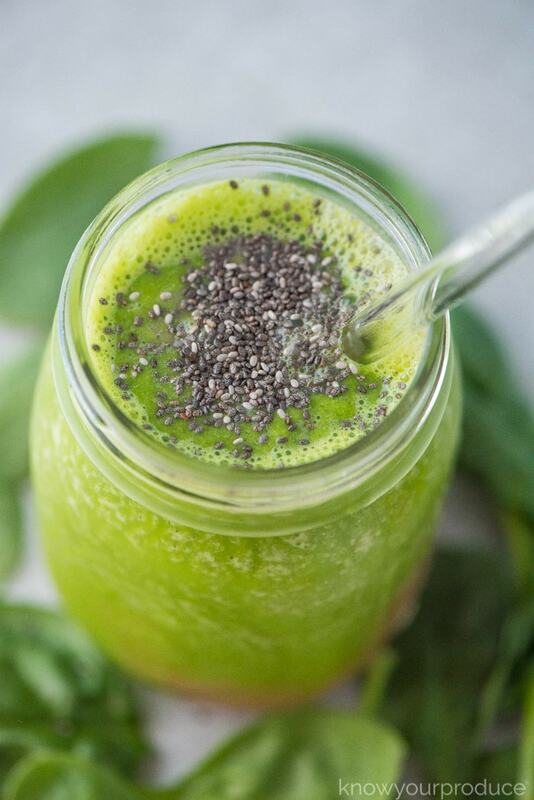 This Alkaline Smoothie is a great way to start your day with a high pH! Great for those who suffer from acid reflux, indigestion, or GERD. 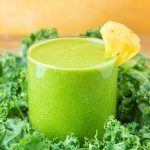 What is an alkaline smoothie? 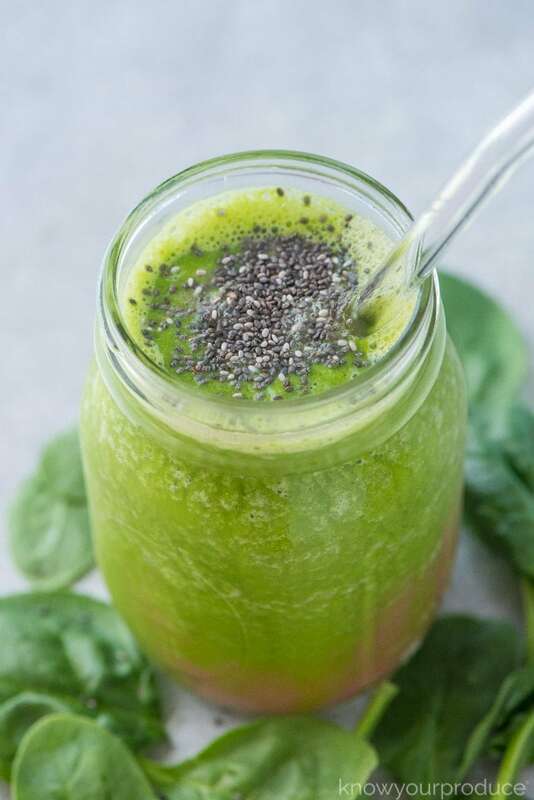 An alkaline smoothie is a smoothie that has a high pH level and shouldn’t cause acid reflux or GERD symptoms. 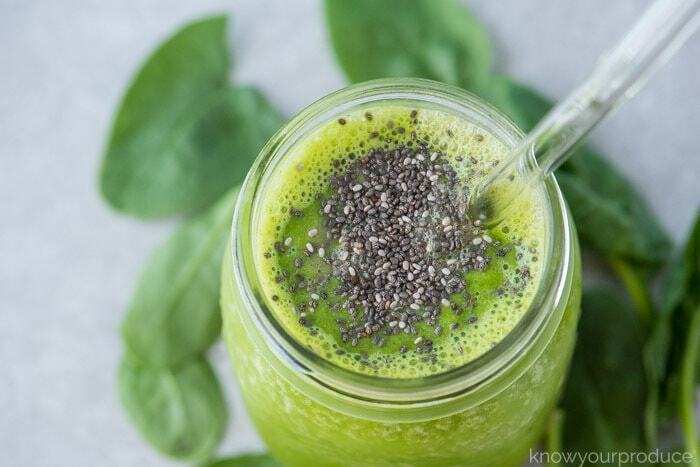 Smoothies can be loaded with acid once you add in things like berries, and juices. It’s important to make sure that you’re not just consuming an acidic smoothie if you easily suffer from indigestion. I definitely suffer after consuming coffee. 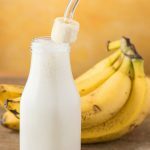 Almond milk has an alkaline composition which helps neutralize your stomach acid, so I always have that in the house, especially for smoothies. If your doctor suggests a change in diet, consider The Acid Watcher’s Book by Dr. Aviv. It contains a 28 day diet program that may help your reflux/GERD symptoms. After reading many books which were supposed to help, this one actually did. super seeds like hemp, flax seed, or chia. 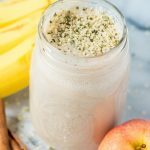 This is also a vegan smoothie! 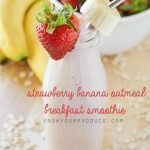 A smoothie makes for a great addition to your breakfast. I like having a toasted English muffin with avocado, tomato, and cracked pepper & salt with my morning smoothie. When trying to reduce acid reflux you’ll want to try to avoid acidic food, trigger foods, spicy foods, fried foods, processed foods, caffeine, and chocolate. Stick to eating smaller meals about 5-6 per day, ones that don’t make you feel overfull. Once you feel full your stomach contents will rise up into your esophagus. Raising your bed by the headboard and not eating 3 hours before lying down for bed also helps some. Skip sodas, coffees, teas, and opt for water. We drink high pH water, evamor or essentia when drinking water on an empty stomach. Ensure you’re eating fresh fruits and vegetables with a pH level of 5 and above (more veggies than fruit). 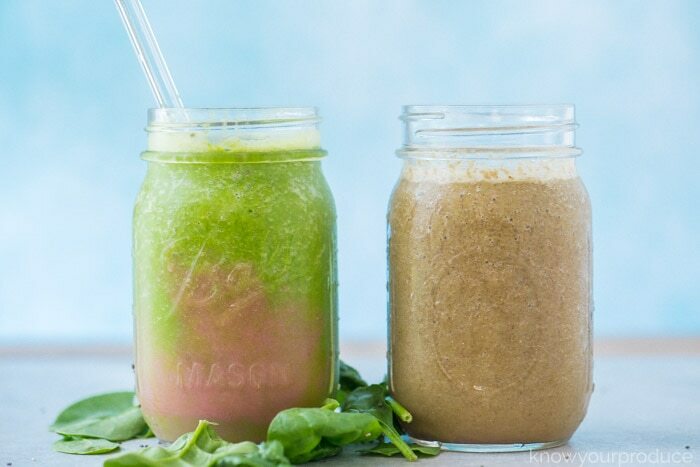 When you mix greens and berries you’ll have a brown smoothie. 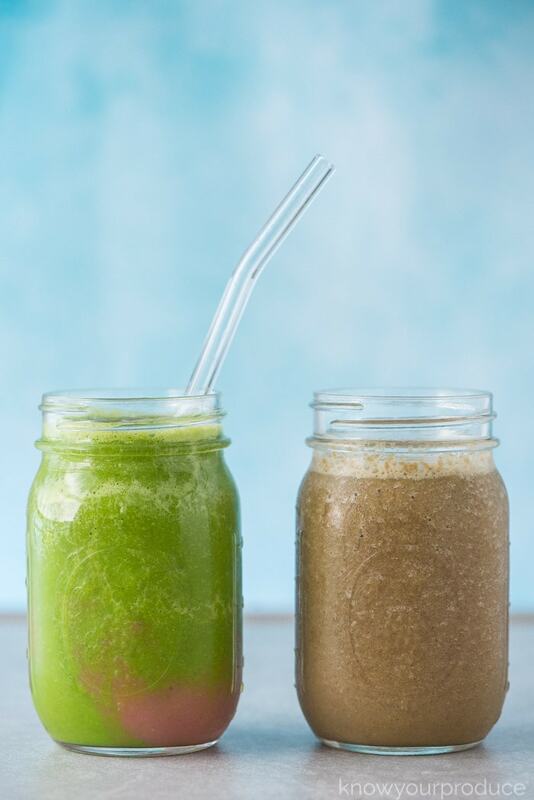 Both smoothies above have the same exact ingredients, we just blended some of it separately. 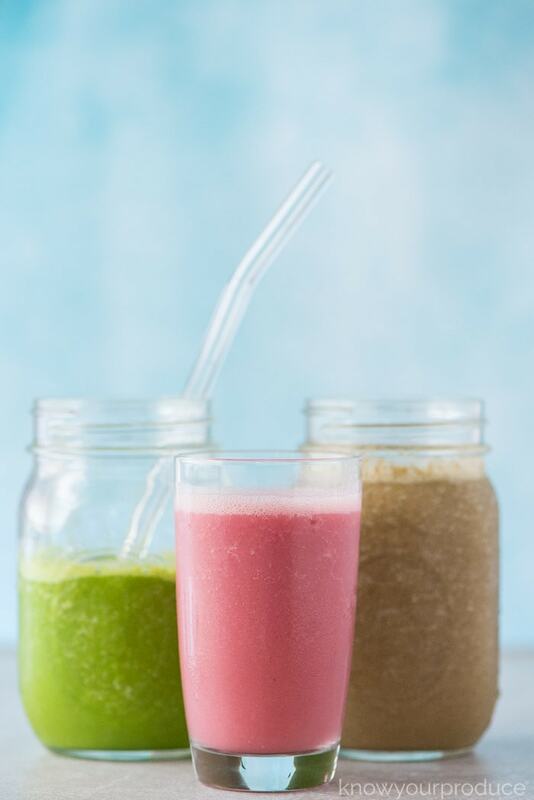 To keep your green smoothie green and pink smoothie pink blend the greens separate from the reds and purples. 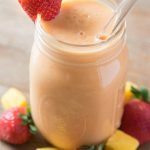 You can make a layered smoothie by making the smoothie thicker, or just mix them together in the same glass before drinking. 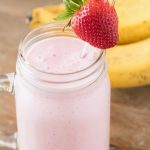 If you liked this smoothie recipe you may also like our breakfast smoothie or our banana smoothie with yogurt! Place the ingredients into the blender as listed. 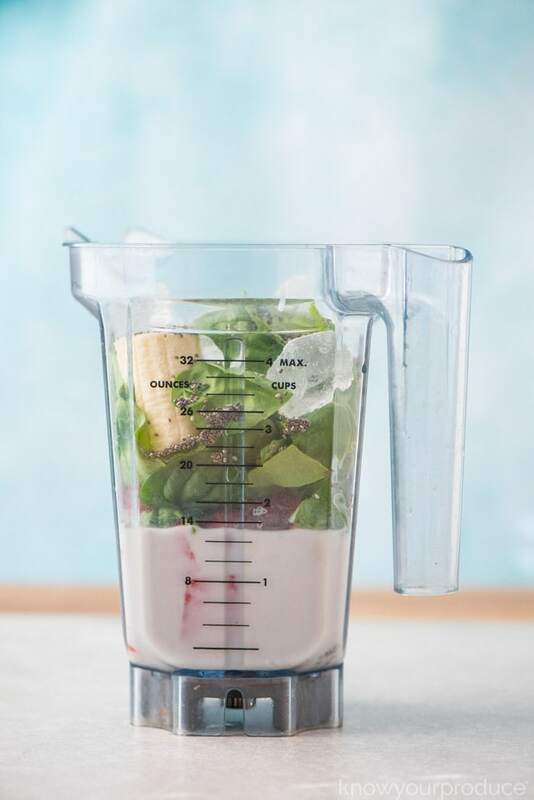 Blend the smoothie until combined. 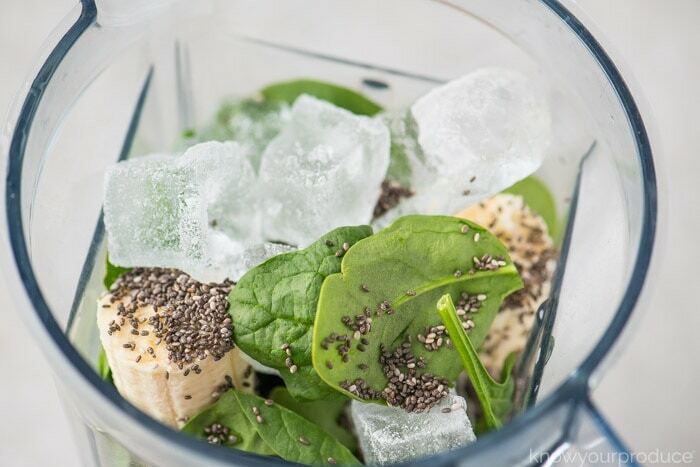 To prevent a brown smoothie, mix the greens with the banana, chia seeds, half of the ice and half of the almond milk. 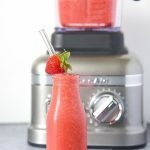 Then blend the watermelon strawberries, almond milk, and ice together. 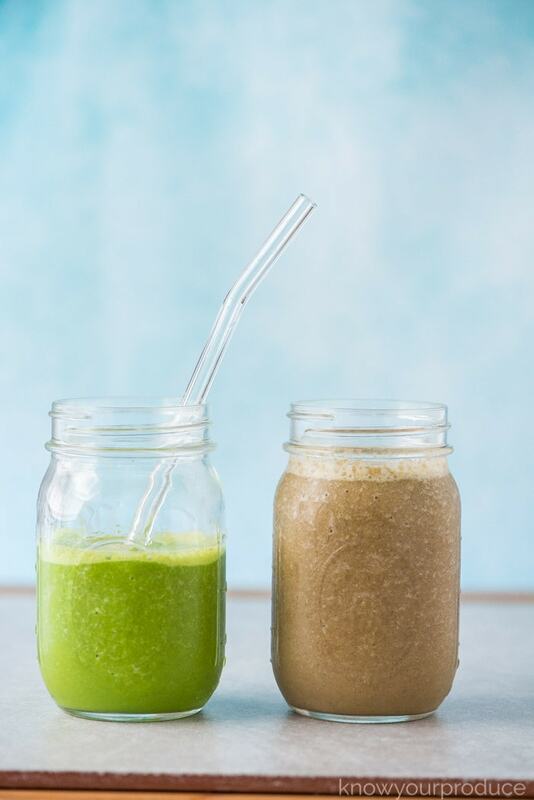 Pour the smoothies into the same glass and enjoy. 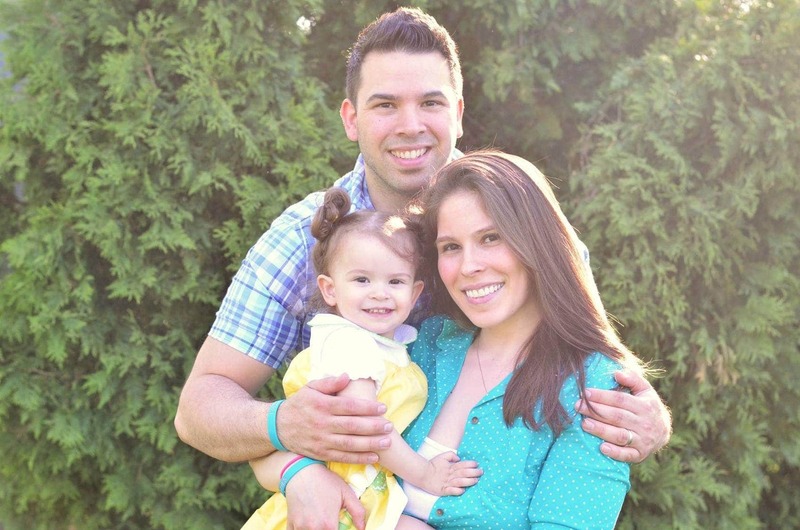 I wish I had this recipe before I had my reflux surgery! But it will still be delicious now lol! I hate bananas… any suggestions for a substitution? Thanks! My brother just started speaking to me about alkaline rich food, thank you for reminding me and for the recipe! 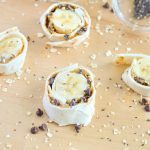 So healthy and delicious – thank you for a great recipe! This was so educational! And looks so yummy, thanks for sharing! Thank you for telling me to blend separately for the color, I would have dumped everything in at the same time. I’m dying to try this! Wow this looks so good and healthy! 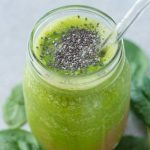 I plan to start juicing more and this is on my to-try list! Can you us frozen fruit?